Cam Newton and Odell Beckham teamed up Wednesday night … for fashion!! 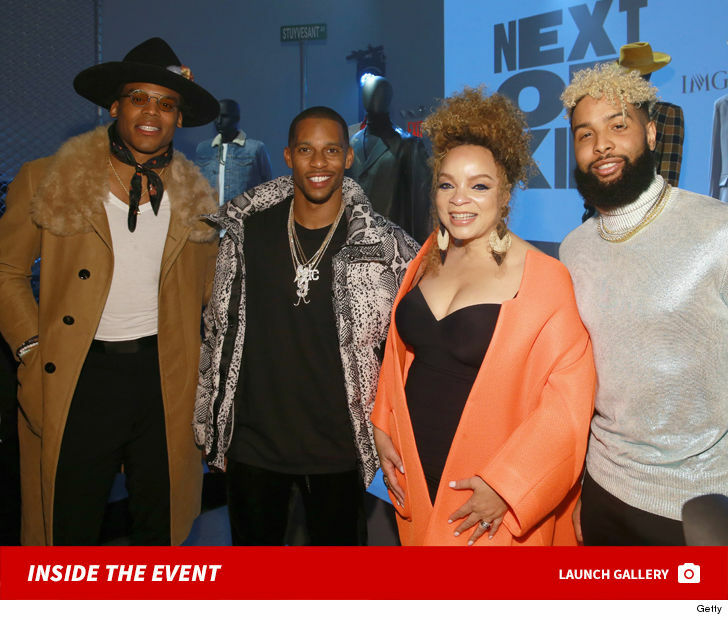 The superstar quarterback and the All-Pro receiver hit Harlem’s Fashion Row Special Event during New York Fashion Week on Wednesday … and yeah, they looked as swaggy as ever. Cam donned a tan trench coat, a black hat, sunglasses and a bandana … while Odell killed it in what appears to be a fit inspired by Dwayne Johnson‘s infamous fanny pack pic (sans fanny pack). We know what you’re thinking … but this ain’t a preview of a possible NFL trade — both guys are locked into long-term deals with the Panthers and Giants. So, enjoy the two greats in the same room together while you can!! BTW … ex-NFL star Victor Cruz was also there — and they ALL certainly held their own among NY’s finest fashionistas!! !